If you’re wondering whether an otocinclus and betta can live together, the short answer is yes. However, that doesn’t mean you should go out and buy an otocinclus to introduce to your betta. Otocinclus aren’t the easiest fish to keep (in the beginning) and if the right parameters aren’t met then their chances of survival decline. So keep reading to find out everything you need to know about keeping otocinclus’ and bettas together! 1 Can An Otocinclus And Betta Live Together? 4 What’s The Ideal Tank? If you’re interested in keeping the two fish together then it’s essential to know as much about both fish as you can. If you’re reading this article then that means you already know a lot about bettas. So the focus today is going to be about information on otocinclus’! When you’re housing multiple fish together you have to create an environment that is going to suit all of them! That’s why it’s important to know what sort of tank your fish like. Not only do they like a strong current, but they normally live in sandy substrate that is covered in tree roots. So you’ll also need to emulate this as best you can. While they are most commonly seen in streams and rivers, it’s not impossible to find them in more open space. However, when this happens they’ll normally be in a shoal rather than on their own. Some people say you can keep otocinclus catfish in a tank as small as 10 gallons. And if you have just one then that may be possible. But I wouldn’t recommend it. Instead, you should aim for a larger tank that’s at least 29 gallons. This will give you enough space to buy a shoal of otocinclus as well as giving them more room to swim. And once again make sure the tank itself has a sandy substrate. Your otocinclus may spend time foraging the floor so the last thing you want to do is hurt him. A gravelly substrate can often be sharp and rough which could scratch or cut an otocinclus. And of course, you’re going to want to fill your tank with a lot of decorations. Especially live plants and driftwood (Check out this complete guide on driftwood). This will help your tank resemble the environment of an otocinclus. Some great plants you should consider adding to your tank are anubias, java fern, hornwort and anacharis. Lastly, you should make sure you have a good current flowing through your tank. If you’re worried about your betta then keep reading to find out how you can make the tank suit both breeds of fish! As well as knowing what sort of tank is best for your otocinclus it’s also necessary to know their temperament. We already know that bettas aren’t the friendliest fish, so it’s important to make sure you find tank mates that are going to stay out of their way. 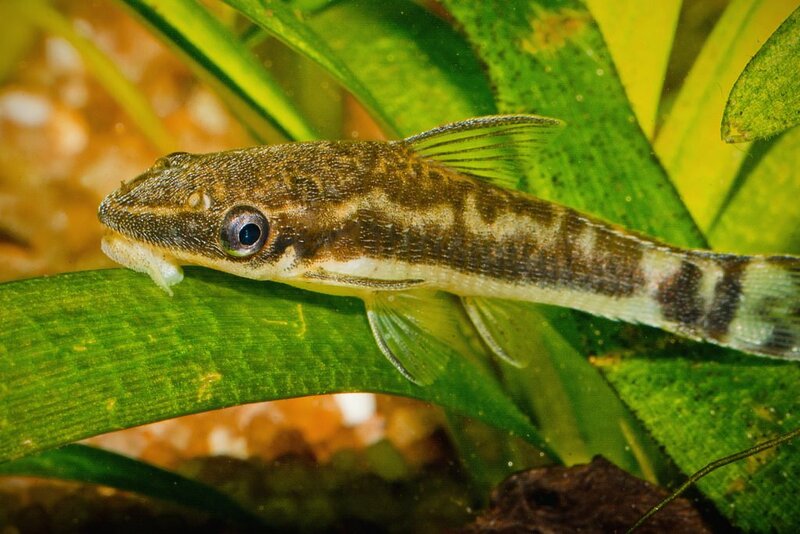 To start off with Otocinclus catfish are bottom dwellers. Because of this, it’s more likely they will get along with your betta. Or to be more specific that your betta will ignore them. Betta’s tend to have a territory that is near the top of the tank. This is because they need to breathe from the surface and because they have upturned mouths. So if your betta stays at the top of your tank and your otocinclus stays at the bottom they’ll end up avoiding each other naturally. Also, one thing you should definitely know about otocinclus’ is the fact they love to hide. If you give them enough hiding places you may not see them for a couple of days. Only for them to pop up somewhere completely new later on! There are two things that your otocinclus is most likely going to be seen doing. The first is you’ll notice them foraging the bottom of your tank as well as any decorations that have algae on them. They are HUGE algae eating machines so this is going to be great if your tank is covered in the stuff. And secondly, you’ll notice them hanging off things with their powerful mouths. They are able to cling to the bottom of leaves and plants by sucking really hard. Just be careful, if otocinclus are starved for too long they may begin hanging off other fish. Should You Keep An Otocinclus In A Shoal? To see the true nature of otocinclus catfish it’s best to keep them together rather than on their own. 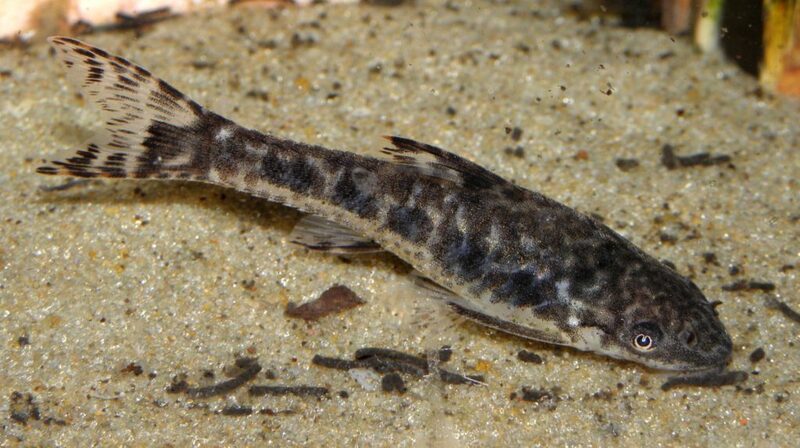 Otocinclus catfish are shoaling fish. When you keep them in groups of 6 or more you’ll notice them becoming a lot more confident. They will become more active and each one of them will show you their own individual personalities. In fact, it’s better not to keep an otocinclus on its own. While it is possible, they’re definitely not going to be as happy, and you’ll miss out on so much interesting behavior. When housing an otocinclus and betta together you’ll also need to make sure each fish is getting the right diet. Otocinclus’ are primarily herbivores, and bettas are primarily meat eaters. However, bettas are also opportunistic eaters so you’re going to need to make sure that your betta isn’t eating their food. (This shouldn’t be a problem). The main reason this isn’t going to be a problem is that an otocinclus’ main source of food is going to be algae. If there’s an abundance of algae in your tank then your otocinclus is going to be extremely happy. While you should be aiming to maintain high levels of algal growth in your tank, it doesn’t matter if not. There are other ways you can supplement it. The most common way to supplement algae in your otocinclus’ diet is to feed them algae wafers. You can buy them on Amazon, and to make sure your betta doesn’t eat them it’s best to buy the sinking wafers. As well as algae wafers you can also feed them a variety of vegetables such as cucumbers or zucchinis, just make sure they’re blanched first. Just be careful about trying to create the conditions needed for algae artificially. Most algae growth occurs in water that has high levels of nitrate, and because otocinclus catfish and bettas are sensitive to this it could make them sick, or even kill them. So when feeding your otocinclus and betta make sure that you’re giving your betta the right food that he needs (high-quality food pellets, daphnia and mosquito larvae). And that you’re also making sure your otocinclus is getting adequate algae or the necessary supplements. If you do this, both of your fish will live happily. How Often Do They Need Feeding? If you’re not aware already, bettas should be fed twice a day. However, an otocinclus is slightly different. If you plan on feeding them vegetables you should never leave the vegetables in the tank for more than 24 hours. A good ratio is 4 algae wafers spread throughout the week as well as a small piece of a vegetable of your choice. The more otocinclus you have the more you should feed them. Fortunately, an otocinclus and betta need similar water conditions to survive. Of course, like all fish, you should keep the ammonia levels and nitrite levels at 0ppm. However, normally nitrate levels can be up to 20ppm with most fish. But with otocinclus, you should also try to keep the nitrate level as low as possible as well. Otociniclus’ also do well in temperatures between 72-82°F, likewise, bettas can live in temperatures between 76-80°F. Ideally, you should try keeping the temperature of your tank at 78°F. pH wise, both fish prefer a neutral pH or one that is slightly acidic. So you should make sure the pH never drops below 6.5 or goes above 7.2. You should also make sure that your tank has a strong current for your otocinclus, but also an area that is free from the current for your betta. When keeping otocinclus’ and bettas together there are a few things you’re going to need to be aware of. One of the biggest problems that you’re going to have when keeping an otocinclus and betta together is the water current. Otocinclus catfish like constant water flow, whereas with bettas it should be very gentle. One of the best ways you can get around this is the way you decorate your tank. In a 20 gallon tank or bigger, you’ll have enough room to slow down the current, until it’s suitable for your betta at one end. To do this you should place plants and decorations in front of the water flow. Sparsely at first and then more concentrated where you want the current to be gentle. It may take some rearranging to get it just right, but once it’s done your betta will be able to swim peacefully in a nice section of the tank. Otocinclus catfish are extremely peaceful and will not attack your betta unless they are starving. However, the same can’t be said for your betta. Even though they don’t have any of the triggers that betta fish attack, it doesn’t mean he won’t try. 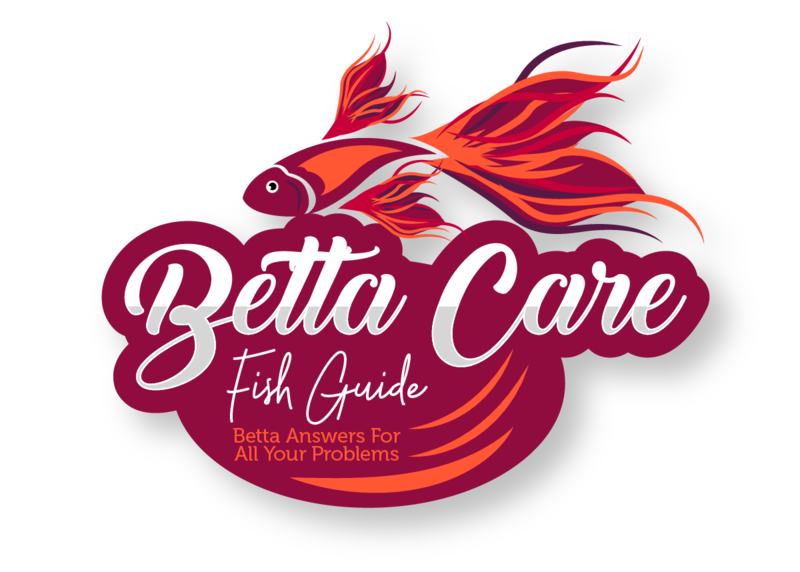 No fish is safe in a tank with bettas, and before adding a tank mate you should know the temperament of your betta. If he’s aggressive then it’s best to avoid placing him with any other fish, and instead, you should start a new community tank. However, if your betta is relatively peaceful (which is often the case) then otocinclus’ make great tank mates, and they’ll help you get rid of any algae build up. You should quarantine any fish that is being introduced to your main tank but this is especially the case with otocinclus catfish. They are notorious for carrying illness, due to the long time they spend in transit, and the lack of food they get in pet stores. Before adding an otocinclus into your bettas tank you should quarantine them for a few weeks first. If you’re not sure how to set up a quarantine tank then you can learn everything you need to know here. 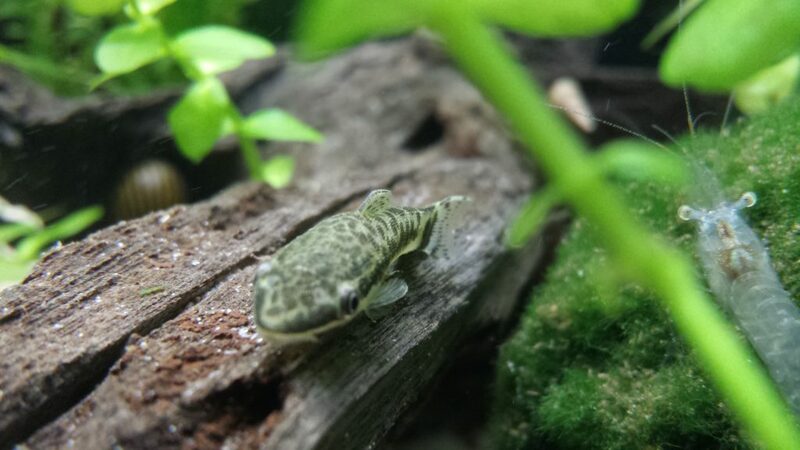 Once otocinclus catfish have settled in they’re very easy to keep. However, the first few weeks are the hardest. It’s not uncommon for fish keepers to buy a shoal of otocinclus’ and only end up having one of them surviving. This is because most of the time they aren’t bred in captivity and instead they’re being shipped around the world. Of course, this increases the stress they’re feeling massively and results in them having a weak immune system by the time they reach your tank. When looking for a healthy otocinclus you should pick one that looks active and is swimming happily with the rest of his shoal. As well as this you’re going to want to pick one that has a nice plump belly. While this is an unhealthy sign in bettas, it’s a good sign in an otocinclus. If you notice that their belly is caved in then you should definitely avoid purchasing. Just make sure that their belly looks plump and not bloated. Bloating could be the sign of a serious bacterial infection that you don’t want to introduce into your tank. Also, you should be paying attention to their color. It should look healthy in different shades of olive, brown, black and white. You should avoid an otocinclus that has a grey coloring and DEFINITELY if they look bloody. And make sure that their fins don’t look too damaged. While normally they will be a bit damaged due to transit, if they look noticeably bad then you should pick another fish. And of course if there are any fish dead in the tank then you shouldn’t but anything from that tank. This article has a lot of information to take in, so here’s a quick recap of the main points. Ideally, you should keep otocinclus catfish in a shoal of 6 or more. To do this effectively you should have a tank that is 29 gallons or bigger. However, it is possible to keep a single otocinclus in a 10-gallon tank, but it’s not recommended. Make sure your tank has a sandy substrate as well as lots of live plants and driftwood. There also needs to be a good water flow. Otocinclus catfish are peaceful and won’t attack your betta. They prefer being in shoals, and most of the time they’ll spend their time foraging for algae. Don’t be afraid if your otocinclus goes missing for a couple of days. They like to hide and normally pop up later on. Make sure otocinclus catfish are getting enough food. Ideally, you want a tank that is covered in algae, but if not high-quality algae wafers can be used. You can also use blanched vegetables like zucchinis and cucumber. An otocinclus and betta thrive in the same temperature and pH, however, you should keep the nitrates in your tank as low as possible instead of the recommended 20ppm. To stop your betta being affected by a stronger water current you should use live plants and decorations to slow the current down. Make sure you quarantine your otocinclus before adding it to your betta tank. Otocinclus’ that are colorful, active and plump looking are healthy. Avoid any with caved in bellies, torn and ragged fins, and grey or red coloring. Corydoras – Corydoras are a great addition to your betta tank if you have space. They don’t look interesting so your betta won’t be bothered by them. But don’t let that deter you, they’re fascinating fish and if you like catfish you should definitely consider them! Plecos – You should also look at plecos. There are over a hundred different species of pleco all unique in shape and size. In this article, you’ll find out what plecos go best in a betta tank! Dwarf Crayfish – You don’t just have to have fish as tank mates. Why not try dwarf crayfish? They’re small, adorable and interesting to watch. And in the vast majority of cases, your betta isn’t going to bother with them. Glass Catfish – If you want something unique in your tank then why not have glass catfish. They’re practically see-through, and look amazing when they’re swimming around! Tetras – And of course, you can go for the classic aquarium fish. If your aquarium is big enough then tetras can be a great choice.